Reader’s question: I’m struggling with picking out a lipstick or gloss color to wear with a deep fuchsia-colored top. I will be wearing a bold black necklace with it, and I have warm medium brown hair and brown/hazel eyes. I think that a top in a shade of pink, red or purple or any lipstick associated color replaces the lipstick and that you can skip it and go for eye makeup only. However, it is still possible to wear some if you want to. 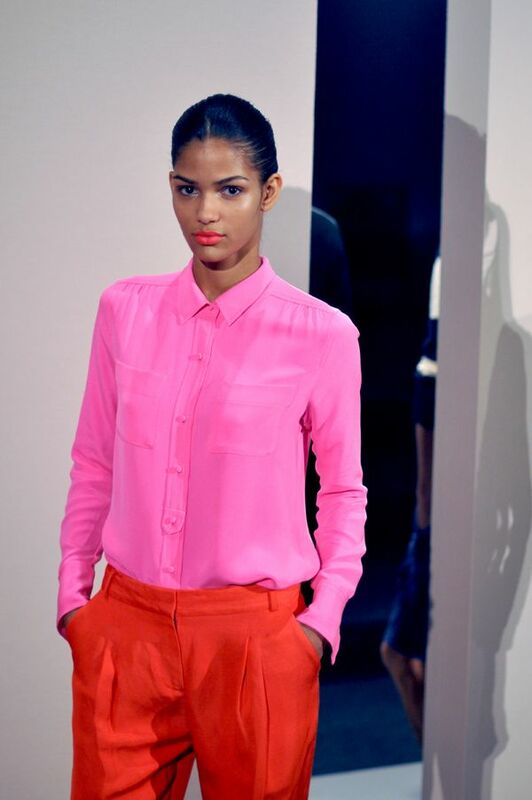 If, you are wearing a top in a pinkish/redish deep color, choose bright or pale lipstick colors. Or even another deep color in a different shade. Matchy makeup is not the best but looks ok. If you are wearing a top in a pinkish, redish bright color, matchy makeup is an option too. You could also go for a deeper shade of the color of the top. Or dare to clash with another bright color. – Bright pink top with bright orange or the opposite (very fashion editorial, but erm, IRL you better wear bare skin and be super fashionable to pull that out). Hope you found what you were looking for!